Home World Affairs IMF likely to delay bailout package to Pakistan. IMF likely to delay bailout package to Pakistan. Pakistan Finance Minister Asad Umar said earlier this month that a mission of the International Monetary Fund (IMF) would visit Islamabad soon after the spring meetings of the World Bank Group, which includes the IMF, and an agreement should be signed by the end of this month.Pakistani daily Dawn quoting official sources on Monday said the visit of the IMF mission to Islamabad for finalising the bailout package may be delayed as both sides are still engaged in an “intense discussion” on the final details of the agreement. The sticking points, however, are the demands for market-determined exchange rates and sharing details of Chinese loans which Pakistan is reluctant to do so.The sources said that IMF officials were also seeking details of the China-Pakistan Economic Corridor (CPEC), along with a written guarantee from both Pakistan and China that the IMF assistance will not be used to repay loans to China.The IMF insists on full disclosure of all financial cooperation between Pakistan and China, including assistance related to infrastructure development, nuclear power plants, joint manufacturing of JF-17 Thunder fighter jets and procurement of submarines. The IMF is also demanding details of more than $6.5 billion of commercial loans Pakistan has received from China in the past two and a half years.In July, China also deposited $2 billion with the State Bank of Pakistan.The finance minister is likely to visit China on April 25 for talks on the IMF concerns over CPEC and IMF will wait to hear from him before it finalises the bailout package, the daily reported. Some of the other conditions proposed by the IMF include: making the State Bank independent, a market-oriented exchange rate, expanding the tax target by Rs 5,000 billion, ending income tax concessions, more taxes on salaries, narrowing the amount of taxable income from Rs12 lakh a year to Rs4 lakh, reducing electricity and gas losses, no government interference in Nepra and Ogra policies, Rs140 billion electricity and gas revenue losses be recovered from consumers.Both sides are engaged in fine-tuning the details of the proposed IMF programme. 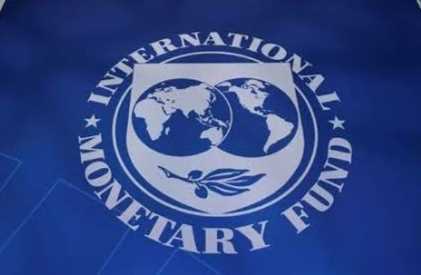 Pakistan wants the IMF to review some of the conditions it has attached to the package while the IMF insists that those conditions are absolutely essential for a successful completion of the programme. Pakistan points out that this would be its 14th package with the IMF, if finalised.It argue that the conditions attached to previous programmes were also not fully implemented because they were too restrictive. Pakistan wants the IMF to focus on long-term structural reforms that help revive its economy instead of attaching conditions that would be difficult to implement.During negotiations on the new package, the Pakistani delegation told the IMF that they do not want to commit to what we cannot implement.When asked how much money did Pakistan expect from the IMF, a source said: The amount and length of the programme also depends on the nature of the package.If the conditions are too restrictive, Pakistan would expect a larger package, i.e. more assistance for a longer period.